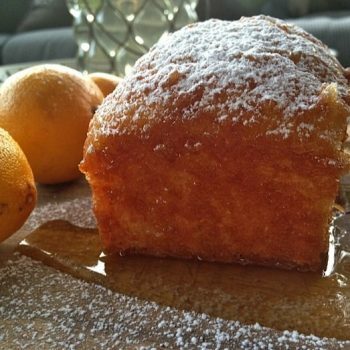 This Sunshine Lemon Bread is the perfect treat, any season, for breakfast, brunch, lunch, or a sweet gift to give to a friend or neighbor. Autumn bathes us in the warmth of the glorious sunshine. And don’t you just love bringing a little bit of sunshine to others? That’s what my friend, Jenny, did a few weeks ago when she brought me a gift. 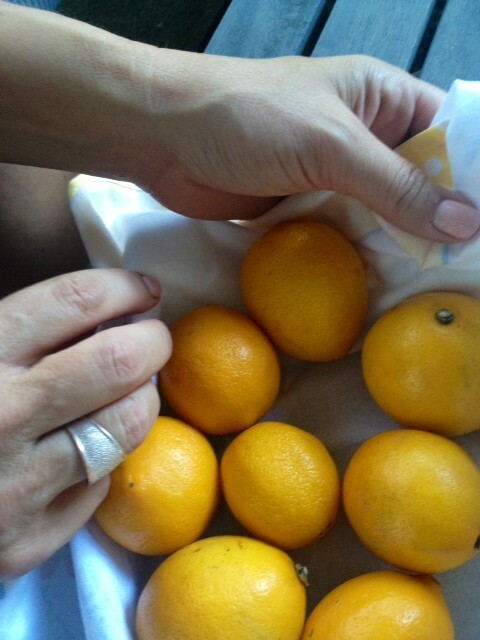 A darling kitchen towel wrapped around Meyer Lemons. With a very sweet (late) birthday wish. I unwrapped the towel and saw the yummy recipe printed into the towel. So one afternoon I juiced the lemons (and some oranges) and made the bread. A little gift of sweet sunshine with a little bit of lemon. All I can say is that it’s really fun to bless others with food, especially when they’re not expecting it. There’s just something about Autumn that says share. When’s the last time you thought about your neighbors and what you could bring them? 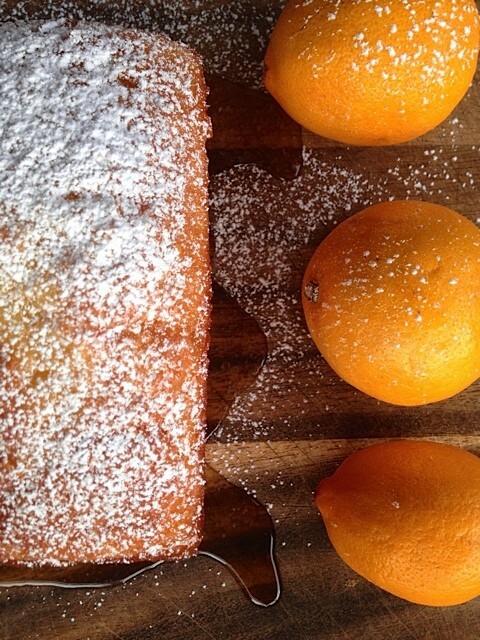 Sweet lemony bread to share with a neighbor or a friend. Makes 2 regular size loaves. Grease and flour baking loaf pans. Beat cake ingredients in a large bowl. Pour into prepared loaf pans and bake 35-45 minutes, depending on the size of loaf pan. Remove loaves from oven; pierce cake with a fork, about every inch. Blend glaze ingredients in a small saucepan. Bring to boil; reduct heat and simmer 1 minute. Spoon half of glaze over hot cake in pan. Allow break loaves to stand 10 minutes; invert onto bread board or serving plate. Slowly spoon remaining glaze over cake. « Previous PostDay 3. Entertaining. The Gift of Food. Next Post » Day 5. Fresh. Mini Bedroom Redux. Sounds yummy. Does all the orange juice affect the lemon flavor of just help sweeten it? Just curious as to what it tastes like with more lemon juice & less orange juice. No, it does not. It’s yummy! Yum! This sounds so amazing! I was a bit confused about how many loaves this recipes makes, and I see in the original towel recipe that it indicates baking in a bundt pan (which I don’t own). I made this in two normal loaf pans and it’s just right. I added poppy seeds, vanilla extract, and dried Valencia orange peel. Delicious! How sweet! I love that bread, so beautiful! Just made this for my Ladies’ Bible Study tonight! YUM! Thanks! Gorgeous Sandy! I love everything lemon! Mmm, that looks like sunshine for my belly! 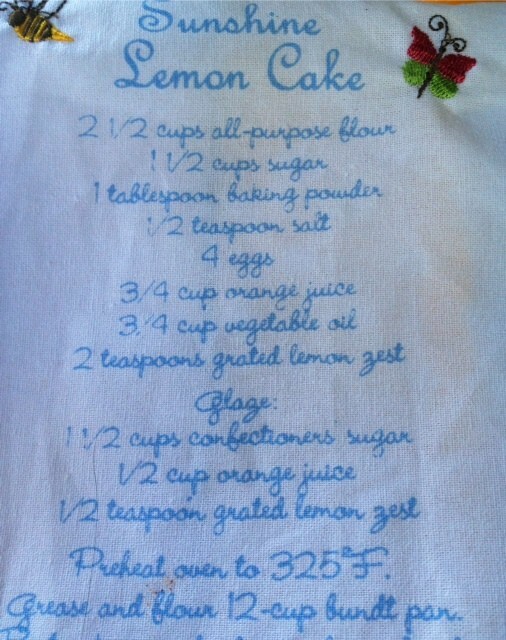 How cute that the recipe was on the tea towel. 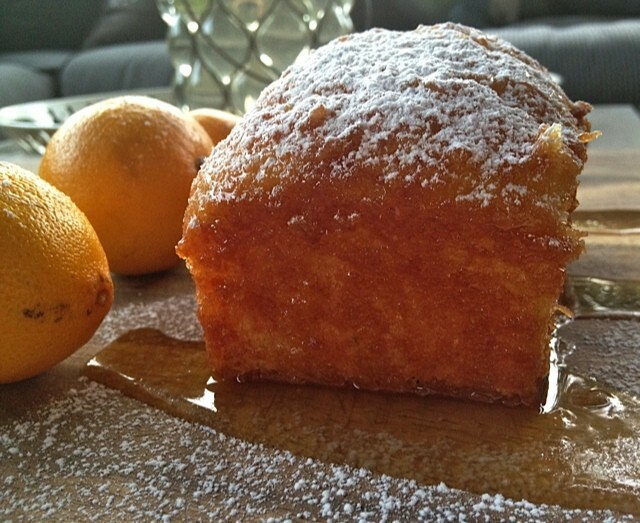 I love bread with a citrus glaze. 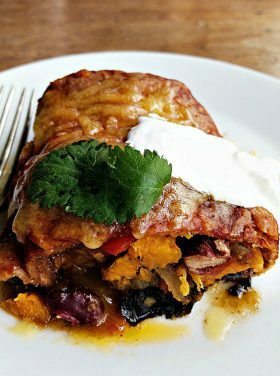 I have this on our schedule to make tomorrow. I too would like to know what size pans you used. 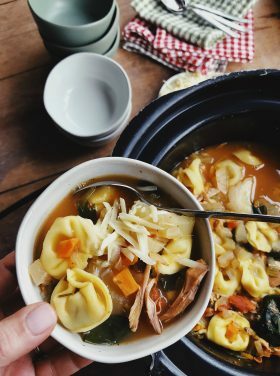 Thanks for sharing this yummy recipe! This is my kind of dessert! So sweet to make for neighbors, I’m sure it’s very appreciated! Quick question…..does this make four regular size loafs…..9×5? Looks yummy! What a beautiful gift to receive, love the towel with the recipe! 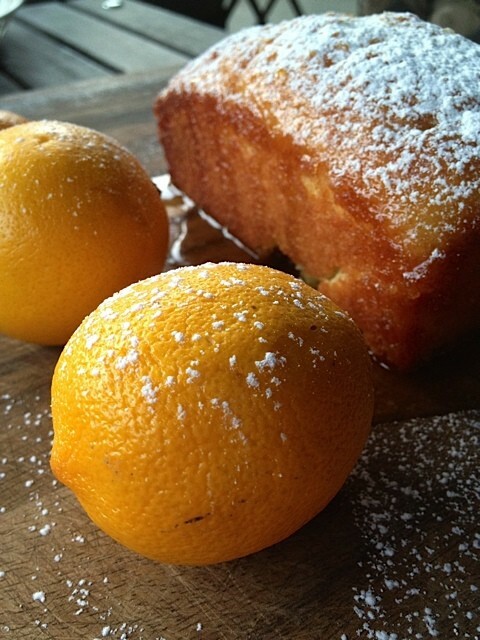 I love lemon bread – and LOVE the recipe’s name with “sunshine” in it. 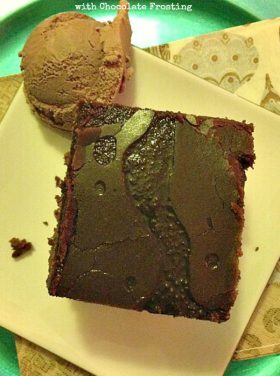 :) I haven’t shared any baked goods lately…still giving out fresh yum from the garden. Oh goodness, I’m dying over here! I just love Meyer lemons. In fact, I bought a Meyer lemon tree a few months ago and I’m anxiously awaiting its first bloom. I want a slice right now! Lovely! Love the towel! I’m pinning it to remember it. My neighbours are avoiding me right now because I keep trying to give them excess tomatoes – lol.